What are you going to do with that art degree? You’ve probably been asked this question by friends and family members since before you even held your degree in your hand and it never fails to be discouraging. You begin to think that the price you paid for that fancy private school wasn’t worth it. The truth is though, that there are several jobs that you’ll qualify for with an art degree. You just have to do a little digging to find them. 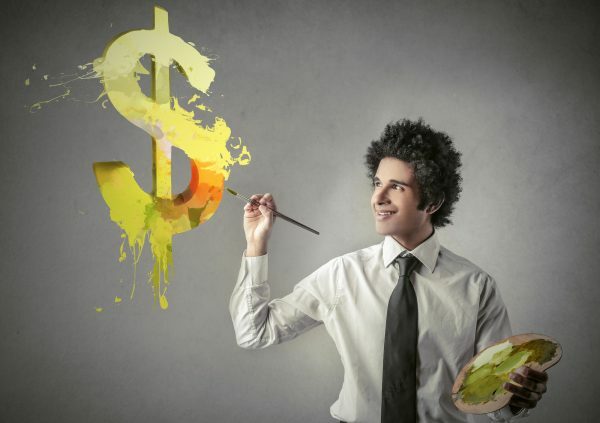 To give you a hand with this searching, here are a few high paying art jobs that will shut your doubters up and give you a shot of self-esteem. As an art director, you’ll be responsible for the design, artwork, layouts, graphics, and illustrations for projects. You’ll work closely with clients to meet their artistic needs and present all of these designs for approval. You’ll be qualified for this job if your degree was in design, photography, or art. If given the job, you’ll be bringing home around 43,000-163,000 dollars a year. Interior design is another job that allows you to work closely with clients to combine fashion and function and apply them to interior spaces. You’ll mainly be making sketches by hand or in a computer program to give your clients an idea about what the finished product will look like. You’ll need at least an associates degree in drawing, interior design, or computer design and you’ll be making anywhere between 35,000 to 65,000 a year. Being an art professor gives you a chance to take the knowledge you obtained in school and give it back to those who are sitting right where you used to. You’ll need to be able to develop, plan, and teach a curriculum in your specific field. To become a professor you’ll need a master’s of education degree with a concentration in the art field that you want to teach. For your efforts, you’ll earn around 45,000 to 88,000 dollars a year. As a graphic designer, you’ll work mostly as a freelancer, making computer graphics, visual images, and produce illustrations for private companies. You’ll work a lot in marketing making logos or banners by using Adobe Spark for YouTubers. You’ll need a bachelor degree in fine arts or graphic design and will make anywhere between 33,000 to 59,000 dollars a year. As an animator, you’ll also work as a freelancer creating moving images that are found in video games, on websites, and in film and television. You’ll be relying on specialized software and hand drawings to get your job done and will create storyboards on top of making the animations. You’ll need a bachelors in art and computer graphics. You’ll bring anywhere between 45,000 to 82,000 dollars a year. The next time one of your family member or friends tell you that your degree is worthless or asks you what you can do with it, name these high paying art jobs to put them in their place. You worked hard to get through school, don’t let anyone discourage your passion. Got a great piece of work that you want to show off and use to get your foot in the door? We’d love to see it! Go here to submit your work!